Nearly 200 runners and walkers, many of which wearing blue, took part in the the second annual Paint the Town Blue for Mitch 5K/10K March 19 at Nevada Union High School. For some, it’s a way to be active and support local causes. For others, it’s simply a good way to get some exercise on a Sunday morning. For Monica Adams, it’s a way to honor her son and support things she knew him to have a passion for. 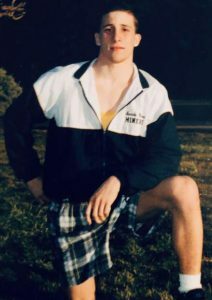 “Mitch was all about friends, fun, fitness, football and breakdance,” Adams said. 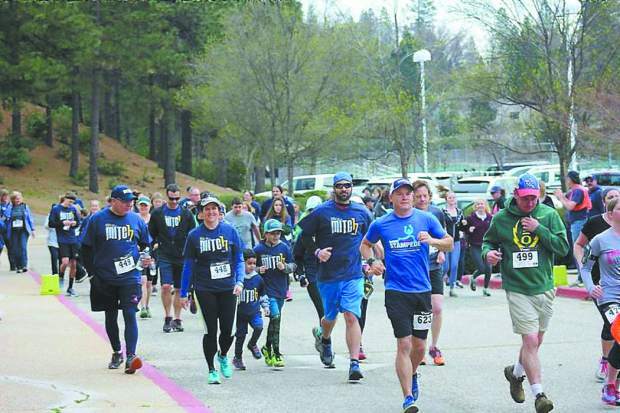 The annual Paint the Town Blue for Mitch 5K/10K is back for its third installment and will once again bring droves of runners and walkers dressed in blue to the Nevada Union High School campus. 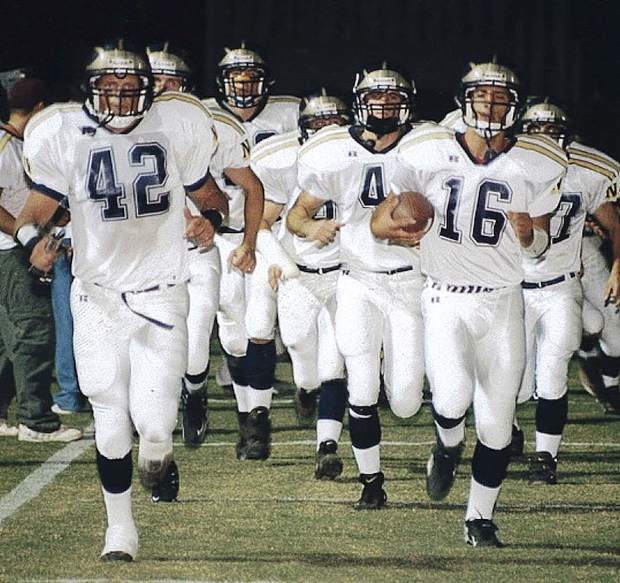 The race, which kicks off at 10 a.m. March 25, will be raising funds for a scholarship in Mitch Adams’ name, the Nevada Union football team, Nevada Union athletics and the Sierra Dance Institute. “A run with lots of people is right up (Mitch’s) alley, and I just imagine him up there going ‘yay, this is cool,’” Monica Adams said. Mitch Adams passed away in August of 2015 after suffering critical injuries in a car accident. It happened just days before his first varsity football game with the Miners. 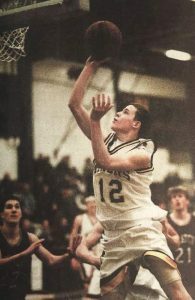 He was 16. The Paint the Town Blue for Mitch 5K/10K was created shortly after by his classmates Caleb Patterson, Savannah Ozuna and Emma Zoellin. Monica Adams has since taken on the heavy lifting when it comes to putting on the event, but is quick to add she couldn’t do it without the support of the community. The first two Paint the Town Blue for Mitch 5K/10K events raised more than $11,000. 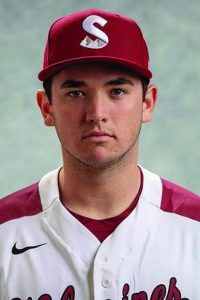 Last year, which would have been Mitch Adams’ senior year, the Adams family was able to give a $6,800 scholarship to a Nevada Union graduate. They plan to do the same this year. Mitch Adams’ football number was 68. To register for the Paint the Town Blue for Mitch 5K/10K visit http://www.5kfor68.com. Registration is available up to the day of the race, but Paint the Town Blue for Mitch 5K/10K T-shirts are only guaranteed to those who have registered online by Sunday. The cost to sign up for the event is $25. Both the 5K and 10K courses traverse Nevada Union High School and the surrounding areas. The event is also the second race on the Gold Country Grand Prix’s 10-race circuit. Dan Cooper (Course Marshall), Nevada Union High School, Jeff Dellis, ​John and Melody Murray​, Sierra Auto Body, Inc, ​Grass Valley Charter School, Rosie Mariani, ​Grass Valley Police, The Union, Lisa Tassone, Walker’s Office Supply, Sierra College, The Baker Family, Training Zone, Sierra Donor Services, California Highway Patrol, Center Stage Dance Studio, Sierra Dance Institute, InBalance Physical Therapy, Three Lilies Photography, The Auto Shop, Marshall’s Pasties, La Te Da, Center of Movement, ​Foothill Flowers, Dawn Ryley, Quick Response, ​Jeff Patton, Bill Gorman, Premier Flooring, Placer Title Company, Grass Valley Sign, Radius Physical + Sports Rehab, Tess’ Kitchen Store, Incredible Pets, Monax Glass Works, Nevada County Fair, ​Escott Place, ​Sopa Thai, The Rizzo Family, Mike and Diana McKnight, Pat and Sara Walsh, Peggy Harris, ​Auto Zone, Tess Andrews, ​EverGuard Systems, ​Chiropractic Solutions, Sadie Barquilla, ​Marty Lombardi, Gold Miners Inn, Grammy and Papa, ​JRob Tees, ​O’Reilly’s, KNCO, Grocery Outlet, Raley’s Yuba City, Byers Leafguard, Paulette’s Country Kitchen, Summer Thyme’s.